Add crushed mint leaves and its juice into the glass with lime juice. Add chilled water and crushed ice. Add 1 tablespoon sugar for a sweet treat and a more traditional Mojito flavor. Make a pitcher of this vibrant flavored water and allow flavors to incorporate overnight in the fridge. During the summer months, when the sun shines hot, making sure your family has adequate water intake is very important. Simple chilled water is always delicious, but why not create something new with natural flavored water that the whole family will appreciate? Learning how to make flavored water is so easy and the flavors are only limited by your imagination. I love the vibrant, fresh combinations of lime and mint. It reminds me of the crisp Cuban flavors of a mojito. 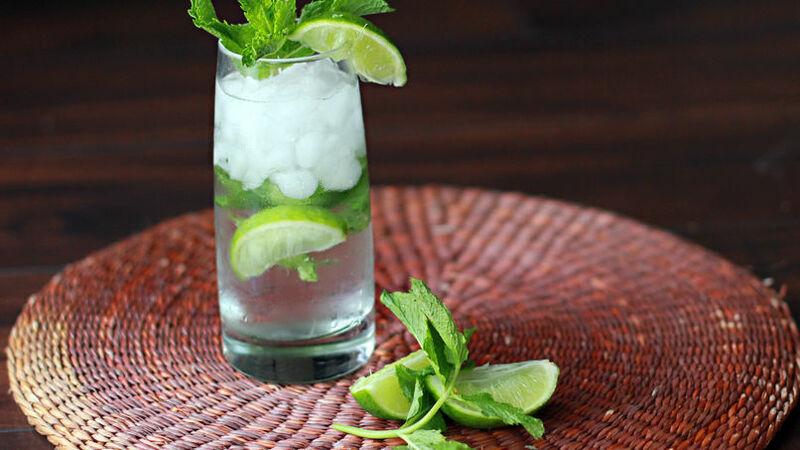 And while this natural flavored water doesn’t call for carbonation or rum, you can celebrate knowing that this mojito-flavored water is full of healthy and nutritious additives.